Get the experts to create your online strategy, SEO friendly landing page and media plan. 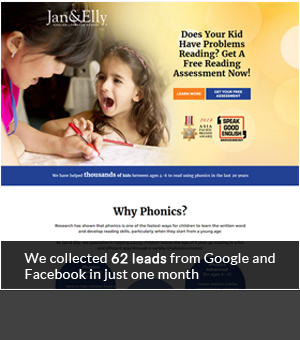 Run online ads and capture lead contacts. Do this for less than the cost of one headcount! 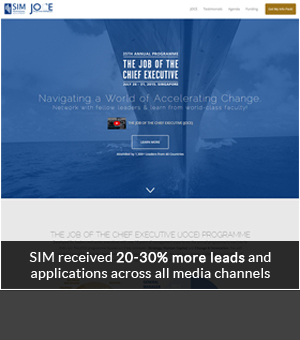 SMEs And Fortune 100 Companies Trust clickTRUE To Work On Their Marketing. With over a decade of online experience from founding and managing the leading technology portal – www.hardwarezone.com, clickTRUE understands what is required to build and grow an online brand. We leverage on our past experience to give advice on best practices and provide holistic solutions to increase clients' brand value. Today, clickTRUE has a growing clientele comprising both SMEs and Fortune 100 companies, with a significant pool of clients in the Asia-Pacific region. It starts with an online strategy, competitor analysis, SEO friendly landing page and a media plan that is cost-efficient. After all, who wants a system that breaks the bank? From SGD 3k per month - less than the cost of one headcount. When the work scales down, expect our charges to go down too. 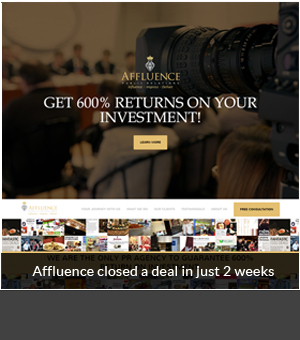 Start building your company's digital marketing assets and unlock returns for years to come. You'll also get a real-time marketing dashboard that reports how your advertising campaign performs on Google or Facebook. 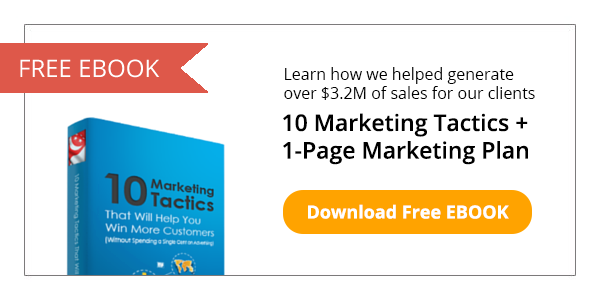 So you'll know the amount spent, number of leads and which keyword or targeting contributed to your leads. 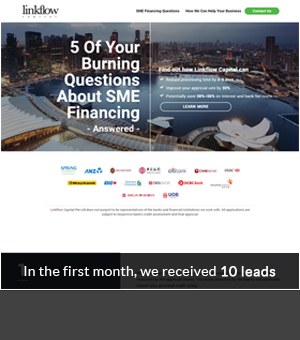 All leads are delivered to your inbox, so you'll know exactly when you get them. You'll get a team of experts (from experienced copywriters, designers, business consultants to search marketing specialists) to ensure you get the quality leads you deserve. 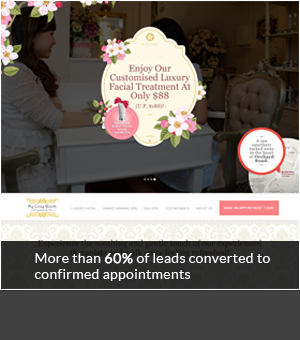 "clickTRUE has delivered amazing results since the launch of our Jean Yip Hairdressing online marketing campaign in early August 2015. They are a team of experienced and passionate executives and have given us constructive advice to ensure the campaign is successful. We look forward to working with clickTRUE for the rest of our digital campaigns!" "It is like hiring a whole team of digital marketing experts at less than a headcount cost. They can spar with me on strategy and still handle my online marketing executions." 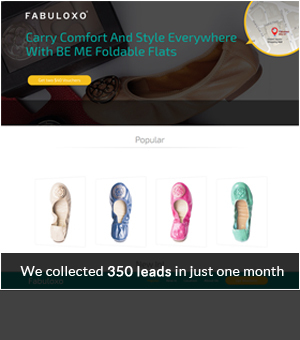 From driving foot traffic, trial sign-ups, to sales enquiries, we've done it all. Through 18 years working with brands big and small, I know that online marketing done well helps companies grow. We’re an experienced team of business-minded marketers with a rare combination of performance-based strategy thinking, converting creativity, and technical proficiency all tied together with a can-do attitude to better service your companies’ challenges and ambitious goals. Our purpose is to make digital transformation less painful for companies and help you to adapt & strive in the digital revolution. Always be learning to become a more useful, helpful and holistic preferred marketing partner to not just grow but grow better with you and your business.